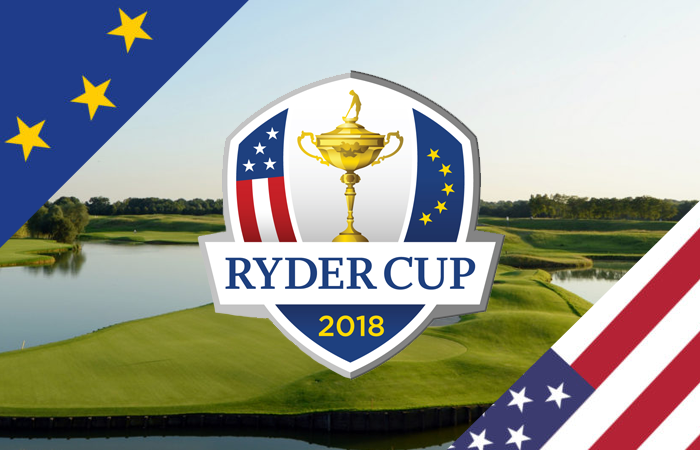 The wait is almost over and it's now only a matter of days until the 42nd Ryder Cup takes place upon the lush, welcoming fairways of Le Golf National in Paris, France with both the American and European sides ready to do battle in what promises to be a truly gargantuan tussle. Last year's impressive win at Hazeltine National saw Team USA break Europe's tightening stranglehold on the Ryder Cup, after three previous wins for the 'boys in blue'. So, what can we expect from this year's edition of the greatest team event in world golf? Check out our preview below. This year's Ryder Cup will be played in Continental Europe for only the second time with the only previous occasion being the 1997 edition at Valderrama Golf Club in Sotogrande, Spain. Le Golf National will provide a stern test for both teams and you could argue that it may be the Europeans who will be benefitted most by the tight fairways as the big-hitting Americans become a little more conservative off the tee. The course that will play host to the three days of Ryder Cup competition this year is the Albatros Course at the Parisian golf club. Playing to a length of 7,183 yards, this par-71 golf course is located in Saint-Quentin-en-Yvelines, southwest of central Paris and was the host venue of the HNA French Open back in July. The Players: Justin Rose, Jon Rahm, Alex Noren, Tyrrell Hatton, Sergio Garcia, Thorbjørn Olesen, Francesco Molinari, Rory McIlroy, Paul Casey, Tommy Fleetwood, Ian Poulter & Henrik Stenson. The Players: Phil Mickelson, Bryson DeChambeau, Patrick Reed, Tony Finau, Webb Simpson, Jordan Spieth, Rickie Fowler, Brooks Koepka, Dustin Johnson, Justin Thomas, Tiger Woods & Bubba Watson. Patrick Reed was the top points scorer for the Americans in both 2016 and 2014 and will arrive in Paris as a man to be feared. Justin Rose might have relinquished his world number one crown, but the Englishman has 10 million reasons not to get too down on himself. Winning the FedEx Cup, and the accompanying bonus purse is evidence of the fact that he's been one of the most consistent golfers over the past year. Despite Rose's impressive feat, he will likely fall behind the dual major winning Brooks Koepka in the race to become PGA Tour Player Of The Year. Majors number two and three are both indicators of the fact that Brooks is now the man for the big occasion. Sergio Garcia was initially a controversial pick but, now that the dust has settled, it could well turn out that the Spaniard's experience is invaluable to the Europeans. He's the highest total Ryder Cup points scorer out of the 24 men teeing it up this week. Jim Furyk's American side have the upper hand when it comes to world ranking positions. Their average of 11.16 is far healthier than the 19.08 of Team Europe, though that is rarely a reliable yardstick when measuring the likelihood of success. The win at Hazeltine National was pretty dominating, and six of the eight major championships played since have been captured by a Team USA golfer. Of course, we also need to consider the return to winning ways of one Tiger Woods. There are plenty of reasons for European optimism, not least the weight of history that sits firmly in their favour, as well as the boisterous home support descending upon Paris at this very moment. Also, despite the inclusion of five rookies in Thomas Bjorn's side, there's a lot of experience shared out amongst the remaining seven players. One of those men is Rory McIlroy and the Northern Irishman is showing glimpses of his best form of late. Honestly, we've no idea. Team USA are likely good value for their position as pre-tournament favourites but, with that said, in the past ten runnings, the underdogs have won as many as they've lost (50% win rate). This year's Ryder Cup could go either way and we're excited to watch play get underway in just a few days. Whether you're Team USA or Team Europe, you can boost your own golf game by downloading our FREE golf app today. Simply click your app store button below. You can also learn more about the further game-enhancing qualities of Hole19 Premium.